A family business established over 35 years, A&D Curtains in Grimsby has the experience, expertise and range of curtains, blinds and accessories to transform any room in your home at sensible prices. Whether it's ready made curtains, made to measure curtains, ready made roller blinds (up to 8ft wide), venetian blinds, vertical blinds, roman blinds or accessories, A&D Curtains offers the full service from fabrics and design through to fitting and accessorising. A&D Curtains is based in Grimsby but covers the surrounding areas of Scunthorpe and North Lincolnshire and nationwide via our online shop. Please contact us for further information or browse our products online. 2014 will be seeing our shop moving to new premises! Details to follow soon. Exciting times!! 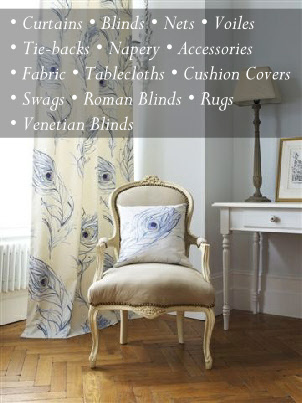 Curtains, cushions, ready made curtains, made to measure curtains, roman blinds, accessories, tie-backs, voiles, nets, fabric, swags and tails, tablecloths and much more. Our brands include Prestigious Textiles, Clarke & Clarke, Swatchbox, Iliv, Ashley Wilde, Samuel Simpson, Belfield, Bill Beaumont, Chatham Glyn, Gordon John Textiles, Sundour & Fryetts. 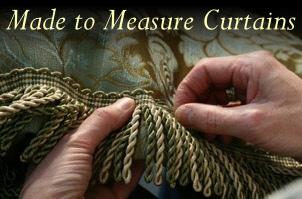 We now offer a curtain alteration service and full make up service for curtains, roman blinds etc. with our fabrics or your own!! Call in for details! Curtains in Grimsby,Cleethorpes, Scunthorpe and North Lincolnshire. Ready made curtains, made to measure curtains. Grimsby curtains, Grimsby blinds. Blind making in Scunthorpe and Grimsby.